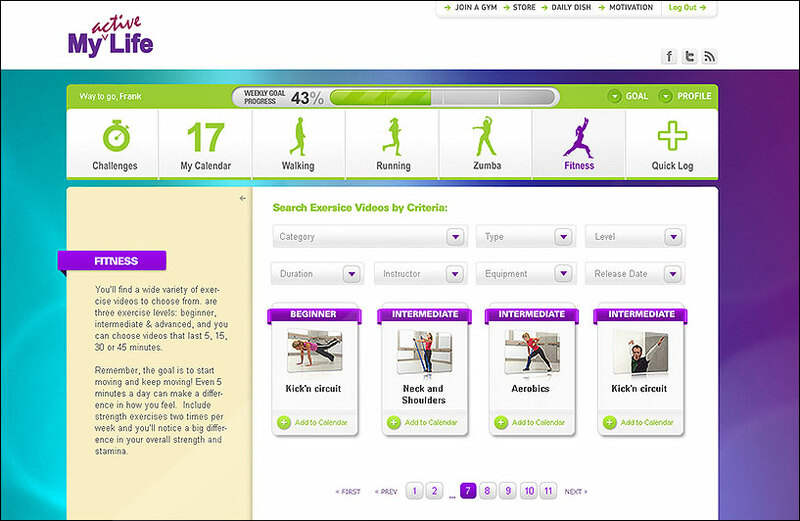 One of customedialabs' clients, a pioneer in corporate wellness programs, wanted to relaunch an application that would encourage employees of client companies to manage and maintain a healthy lifestyle through a fun, easy and motivational application. Using our extensive experience in delivering online solutions and providing interactive, easy-to-navigate applications, we redesigned the branded, information-rich digital solution to offer a rejuvenating experience for clients. We redesigned this app using gamification techniques to challenge and motivate the user. 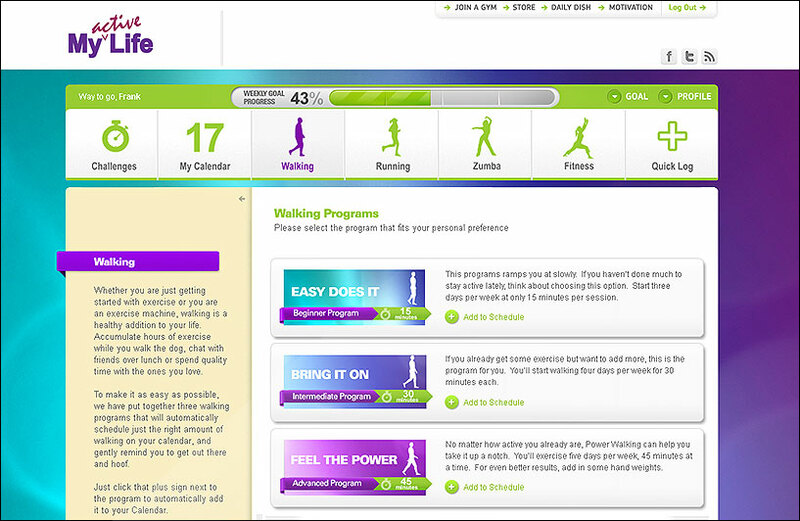 This gamification approach included features such as progress bars, challenges and highly visible goals. We also boosted functionality by developing a logic-heavy back end structure, thereby creating an application that could truly be tailored to each user. After conducting in-depth research around consumer psychology, we designed an energetic color palette to create an aesthetically pleasing layout and to promote engagement for the user. Vivid colors create a positive, optimistic mood and help motivate users to exercise. 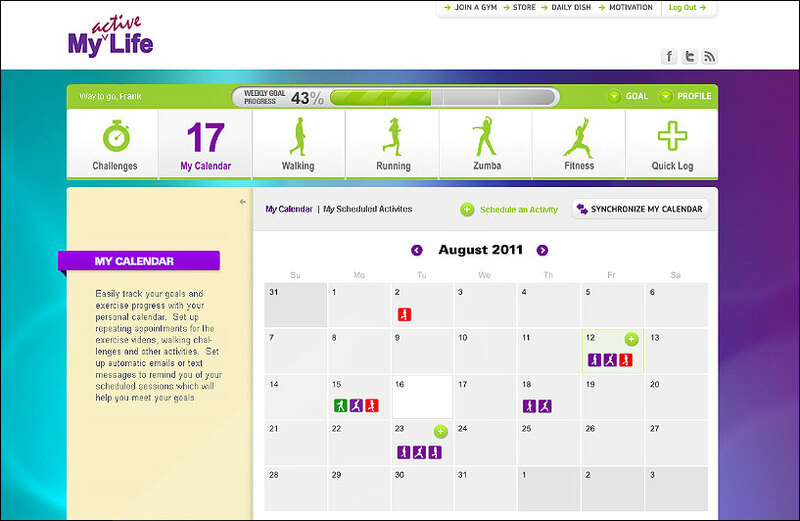 All user activities are organized in a calendar format, with advanced features for a daily overview of activities and goals. This calendar provides an overview of a given user's routine and progress, and also allows the user to manually record completed and unscheduled activities. 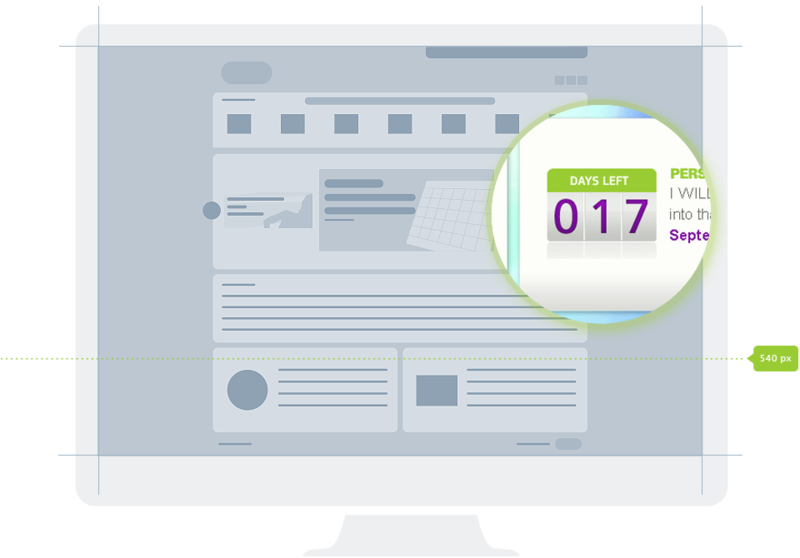 A highly visible progress bar keeps users informed about the flow of their activities and provides motivation to continue exercising and using the product. 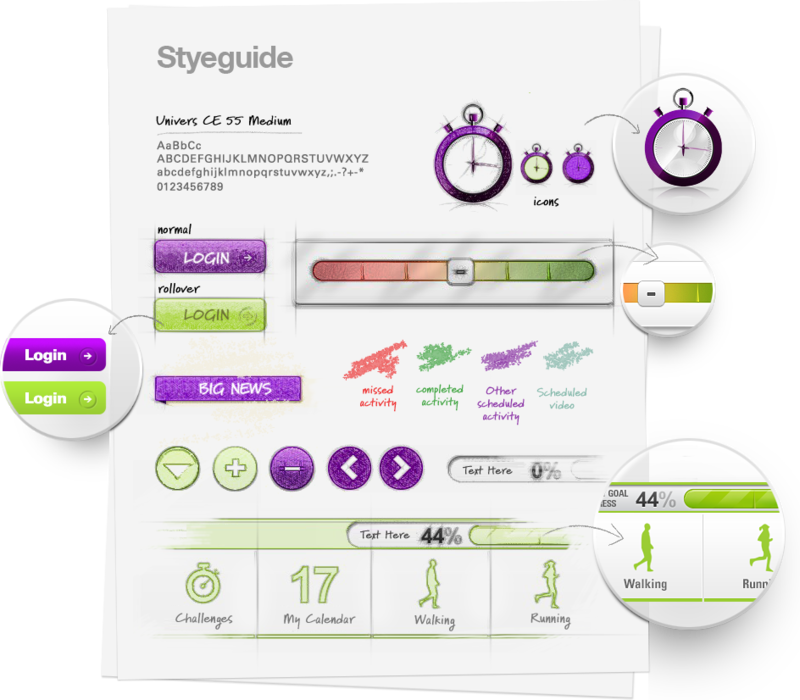 The result is a completely customized application that works for everyone.